The combination of products in this 7-Day Cleanse aids in detoxing the liver and bowel. As a Naturopath I am a firm believer in cleansing both the bowel and liver periodically. The root cause of many diseases begin with toxins building up in the bowel and liver, in turn affecting the immune system and causing adverse conditions such as skin disorders, excess mucus congestion, hormone imbalance, headaches, body odor, bad breath, fatigue, dizziness, etc. The fiber in this cleanse is an effective but gentle formula to deep clean the intestines. In contrast to typical fiber cleanses containing psyllium husk that can irritate the bowels, this formula uses Fibersol-2™ for gentle relief with no harsh stimulants that can cause griping and cramping. This product contains L-Glutamine, an effective product given in hospitals to heal the gut. The prebiotics in Fibersol-2™ help maintain healthy cholesterol, triglycerides, and blood glucose levels. A good cleanse will always contain a liver detox and support formula. The NutraClean Hepato formula in this kit contains some of my favorite herbs that detoxify the liver, builds and supports healthy liver functions. Cleansing the liver can be helpful to correct skin disorders. The Nutriclean Aloe Pill is a gentle and very effective natural laxative that pulls water into the bowel and creates added peristaltic action. This product contains barabadensis, from the leaf of the aloe plant, which acts as a stool softener. For those suffering with irregular bowel movements taking 1 or 2 tablets of Nutriclean Aloe Pill before bed can be extremely helpful. This will replace the need for harsh laxatives. 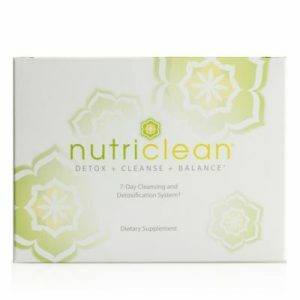 Dr. Sheryl encourages the use of the Nutriclean Aloe Pill along with Nutriclean 7- Day Cleanse and Detoxification to get maximum results. As a Naturopath I teach the connection between the lymphatic system and detoxification of the liver. In order to treat an unhealthy immune system the first you must look at the cleansing and support of healthy liver function. Curcumin supports the normal production of Phase II liver detoxification enzymes, including glutathione synthase, heme-oxygenase and catalase. The liver plays several roles in detoxification: it filters the blood to remove large toxins, synthesizes and secretes bile full of cholesterol and other fat-soluble toxins, and enzymatically disassembles unwanted chemicals. This enzymatic process usually occurs in two steps referred to as phase I and phase II. They promote the body’s natural enzyme antioxidant defense systems and function as a powerful indirect antioxidant. These enzymes promote the body’s normal metabolism of harmful chemicals such as heavy metals, toxins and pollutants into less reactive molecules. Curcumin has also been shown to promote normal hepatic tissue repair. 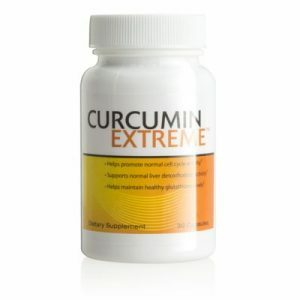 There are many curcumin products on the market, but nutraMetrix Curcumin Extreme with BCM-95® has superior bioavailability and absorption 7 times stronger than just curcumin alone.